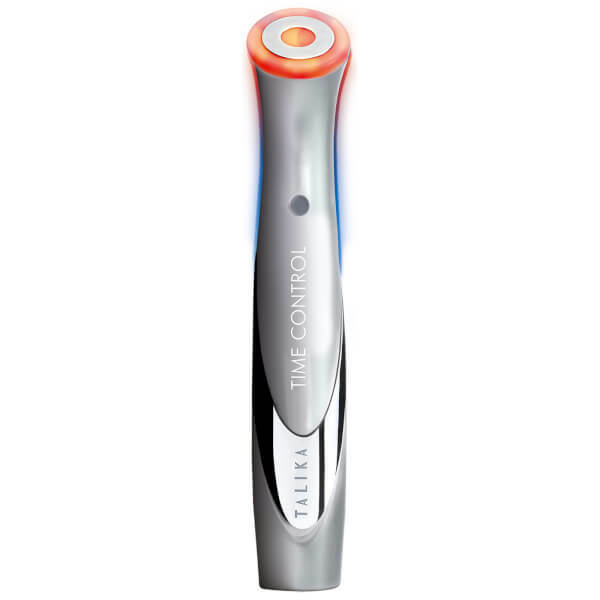 Reverse visible signs of ageing with the Talika Time Control Anti-Ageing Cosmetic Instrument for Eyes Contouring. Developed utilising extensive aerospace research, this is a light therapy device that has been specifically designed for use around the delicate eye area. 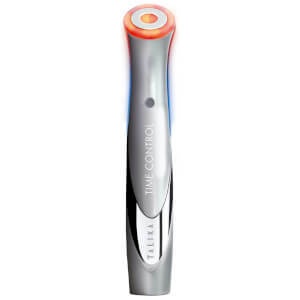 The patented ionotherapy system emits two wavelengths (590 and 630nm) of orange and red lights with imperceptible micro-currents that work in synergy to stimulate the fibrolasts, replenish natural collagen production and combat everyday micro-inflammations that accelerate the ageing process. Offering precise and targeted treatment, micro-vibrations stimulate cellular renewal, with the instrument seeking to smooth the appearance of wrinkles, alleviate the look of dark circles and combat puffiness without causing irritation or discomfort. Suitable for daily use, the handheld device leaves the eye contour feeling firmer and more refined with visible results after as little as two weeks. Caution: Apply skincare products (creams) only in the head of the device. Use creams only. 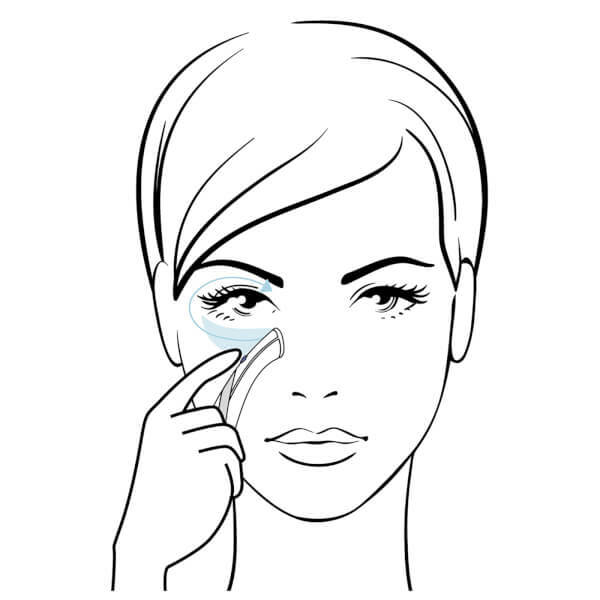 Serums or liquid cosmetic products should be applied on face directly. Do not dip the device into cosmetic products/water as it may damage the device. Do not apply serums or liquid cosmetic products on the head of the device. WARNING: Not suitable for people with an allergy to metals.